Sushant Singh Rajput has been an amazing actor from his very initial films Kai Po che and Detective Byomkesh Bakshy, but then he proved his mettle with MS Dhoni: The Untold Story and entered in everyone’s heart. Now again he is back with another bang on movie with stellar role. Abhishek Choubey who directed Shahid Kapoor’s Udta Punjab, Madhuri Dixit-Huma Qureshi-Naseeruddin Shah-starrer Dedh Ishqiya, and Vidya Balan-starrer Ishqiya earlier, is now coming up with a power packed movie Son Chiriya starring Sushant Singh Rajput. The story of the movie is inspired by various myths and stories associated with Chambal. 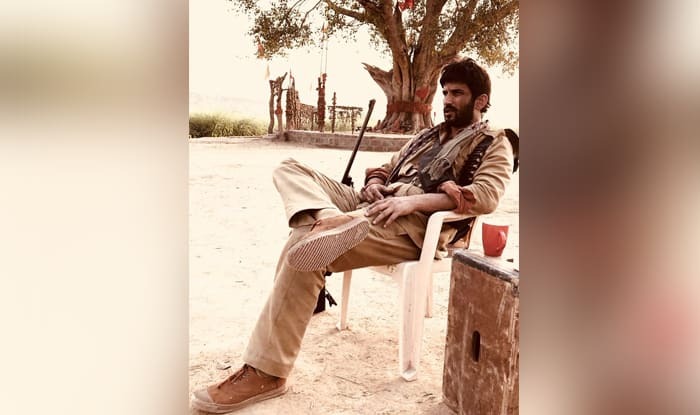 Son Chiriya also features Bhumi Pednekar, who plays Sushant’s love interest in the film. Manoj Bajpayee, Ranvir Shorey, and Ashutosh Rana will also be seen in major roles. Even from the very first look of Sushant he is looking menacing and drop dead cold blooded. Fans are going crazy for his look and flooding micro blogging site twitter with huge complements and awws. An actor who never fails to surprise, an actor who is on a quest of new experiences without the fear of failure or box-office success. Expecting fireworks from this team! Can't get my eyes off you as always ! You are unrecognizable Sushant ! Go nail it Sushant ! I knew that something big is coming. And Manoj Bajpayee is also here, it's gonna be awesome. Sushant Singh Rajput will next be seen in Kedarnath and Drive along with Sara Ali Khan and Jacqueline Fernandez respectively.